The 23andMe Carrier Status* reports tell you about variants that may not affect your health, but could affect the health of your future family. Being a "carrier" means you "carry" one genetic variant for a condition. Carriers do not typically have the genetic condition, but they can pass a genetic variant down to their children. If you and your partner are both carriers, you may have a child with the condition. Thus, understanding your carrier status can help you work with your doctor to prepare for the health of your future family. When viewing your Carrier Status reports, please keep the following key information in mind. 23andMe does not perform carrier testing for all inherited conditions. The 23andMe Carrier Status reports cover many variants, but do not include all possible variants associated with each condition. This means our test can’t detect all carriers. It is possible for someone to be a carrier of a variant that’s not included in our test. Some of the conditions 23andMe tests for in the Carrier Status reports occur more frequently in certain ethnicities. And sometimes our Carrier Status tests are able to detect a larger proportion of carriers of some ethnicities than others. Can 23andMe Carrier Status tests rule out the possibility that I am a carrier for an inherited disease? 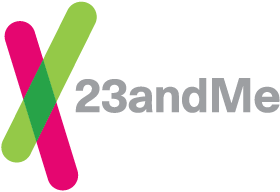 Does 23andMe test for all variants associated with a condition? Why doesn’t each Carrier Status test include all the genetic variants associated with that condition? Why are some Carrier Status tests more relevant for certain ethnicities than for others? Consider talking to a healthcare professional if you are starting a family, if one of these conditions runs in your family, or if you have concerns about your results. Learn more. No. Our reports generally include the most common variants associated with a condition, but they don’t include all possible variants. This means that our test can’t detect all carriers. Visit each report to learn more about which variants we test for each condition. Many of the conditions included in our Carrier Status reports can be caused by hundreds or even thousands of different genetic variants. While our Carrier Status reports cover many variants, they don’t include all possible variants associated with each condition. In order for us to include a variant in a report, the variant must be detectable by our genotyping technology and pass rigorous validation testing to optimize test accuracy. Consider talking to a healthcare professional if you are starting a family, if one of these conditions runs in your family, or have concerns about your result. Learn more. Some of the conditions we test for in our Carrier Status reports occur more frequently in certain ethnicities. For example, sickle cell anemia is most common among people of African descent, and Bloom syndrome is most common among people of Ashkenazi Jewish descent. When a condition occurs more frequently in a certain population, we want to highlight that Carrier Status report for people of that ethnicity. It’s also important to consider whether our test does a good job of detecting carriers among people of a specific ethnicity. Many of the variants we test for occur more frequently in some ethnicities than in others; this means that we can detect a larger proportion of carriers in certain ethnicities. To be considered an “Important Ethnicity” within the “How To Use This Test” section of a specific Carrier Status report, at least 1 in 130 people of that ethnicity must be a carrier for the condition and our test must be able to detect at least 70% of carriers among people of that ethnicity. This doesn’t mean that the test isn't useful for other people; it just means that the test won’t identify as many carriers in other ethnicities. (You might notice that the “Important Ethnicities” are not always the same as the “Ethnicities Most Affected” in the “About Condition” section of the report. “Ethnicities Most Affected” includes ethnicities in which the condition is most common, even if our test detects fewer than 70% of carriers in those ethnicities. Keep in mind that whether you are part of an relevant ethnicity or not, we don’t test for every variant associated with each condition. Please refer to the individual Carrier Status reports for information on relevant ethnicities and tested variants. Consider talking to a healthcare professional if you are starting a family, if one of these conditions runs in your family, or have concerns about your results. Learn more. I’m concerned about something I learned from my reports. What do I do? *The 23andMe PGS test uses qualitative genotyping to detect select clinically relevant variants in the genomic DNA of adults for the purpose of reporting carrier status and reporting and interpreting genetic health risks. The relevance of each report may vary based on ethnicity. Our carrier status reports can be used to determine carrier status, but cannot determine if you have two copies of any genetic variant. These carrier reports are not intended to tell you anything about your risk for developing a disease in the future or anything about the health of your fetus, or your newborn child's risk of developing a particular disease later in life. For certain conditions, we provide a single report that includes information on both carrier status and genetic health risk.